Delivering up to one million vibrations per second, this high-frequency Ultrasonic beauty massager works to sculpt and energize sagging skin—smoothing away the appearance of cellulite. 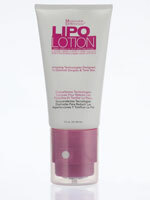 Creating frictional heat to maximize the effectiveness of Lipo-Lotion (sold separately), this innovative technology helps tone, tighten and firm dimpled skin on tush, tummy, thighs and arms, helping you look and feel beautifully confident! Stainless steel massage head, plastic handle. Power cord and instructions included. have been wanting this for a while I know it works and wanted one of my own. Does great and you feel so go after using it. Do recommend it.